Dalal Al Marzouk and Lulu Al Ajeel, two young Kuwaiti girls, bring you sizzling summer dresses, maxi beach dresses, and jumpsuits. I love Suzani is participating in Mostaqela CBA exhibition 27-28th April at Movinpick free zone from 4-10 p.m. Above: Madonna in Dolce and Gabbana's Ad. Dia interviews Rasha and Rawan Al Mannai about running their Bahrain’s Crème Boutique. I tried the Haleeb O Hail Saffron Frapp. emmmmmm latheeeth, didn't expected to be that good, if you are a namla (ant) you would love it, it has caramel in it. Ibrah is a Kuwaiti label famous for it's trendy and fashionable accessories. Ibrah is the Arabic name for a sewing needle. All from Zara, don't know how we lived before Zara!!! a7san shay 7ag edawam, albes o a6la3, I don't have to worry about ironing or preparing clothes for the next day. Yupeee I got my T-Shirt dress from WaMu. 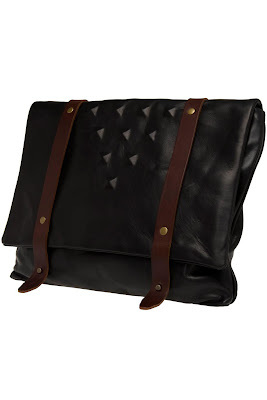 I ordered this one from P2BK event. At first I didn't like how wide it was, I thought that I'm going to look square in it, but when I tryed it on with a pair of grey skinny jeans it looked great, not tight around the hips. I love Jak & Jil Blog and his pictures, always gives you ideas on what to wear and how to match things together. I really would love to try taking pictures like these here in Kuwait but don't know how. I remember reading a Kuwaiti blog, that was planning to do that, but I just can't remember her name, I wanna know what happened to her. Does anyone know this blog's name? was it inspired from Michael Jackson's gloves? 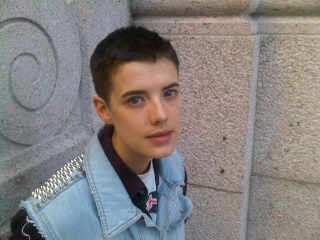 Agyness Deyn's new short hair.